So how’s your new life going? You know, (whisper) post-Google Reader. Did you wake up feeling okay this morning, are you still going through withdrawal? The most important thing from that notice is that you need to have your data out by July 15, so please do that. If you’re still looking for an RSS service, check out our guide to Google Reader alternatives. If that doesn’t provide enough options for you, Google recommends checking out this list of alternatives (and get Mathew Ingram’s take on why you don’t need an RSS reader at all here). Not surprisingly, that list has Feedly in the lead, followed by over 150 alternatives, which is also roughly the number of press releases we have received about new Google Reader competitors in the past few days. Takeaway: It’s easy to build an RSS reader, but it’s hard to get it right. Even Feedly has spent the last two days responding to an endless stream of user complaints and questions — turns out there’s a mobile login bug, and they’re waiting for Apple (s AAPL) to approve their iOS app update. Nobody said this process was going to go perfectly smoothly, though. And don’t feel bad for Feedly: They’ve added millions of new users (and a bunch of new servers) since the fateful Google Reader announcement in April. Digg also just launched its own Reader, and while it too is dealing with bugs and user complaints and questions, the company says Digg Reader “remains speedy and stable” and that it crawled 7.7 million feeds as of last night, up from 100,000 a week ago. If you’re still wondering why Google killed Reader, by the way, check out Om’s interview with Chris Wetherell, who was on the team that created Reader. Also, here’s a former Google employee debunking the myths that cropped up surrounding Google Reader’s death and explaining why Reader wasn’t a product that made sense for Google in the long run. So how are you handling the transition? And did you read this post through an RSS client — if so, which one? Let us know in the comments below. I’m still frustrated that Google ended the service. It was great. I really like the G2 reader – in my opinion it’s the most similar to Google Reader. The Old Reader is good also, and works well on mobile, even though it’s not technically a mobile app. Yesterday felt a bit apocalyptic, today i had to actually use something else, barely had time to hate Google for it. Using Digg so far although it’s annoying for a few minor reasons and was forced to manually add my feeds (always trying to keep the number of feeds as low as possible so only had 100 to add).Digg should focus on making it easier to use and adding features. Adding feeds is not simple enough,mark as read requires 2 clicks and a long mouse/eyes travel on a big screen, not knowing what folders have new items is a pain, no search. No search feature. Options on the mobile app aren’t as robust. Any shared links route through feedly’s servers instead of being direct links to sources. No show stopping differences but they are there. I am happy with Digg, although I wish they were feature complete. I went with NewsBlur. It is fast. Like the web app, don’t like the iOS apps for it (lack the polish like what Reeder had). Really wish the author of Reeder hadn’t abandoned the iPad and Mac OS X apps. I really don’t get why people have been so upset by this. Feedly has synced with Google Reader for 3 years now, and they just moved to their own servers and saved every users’ GR data. And it’s just one of dozens of alternatives; I think people are just too attached to the Google brand. 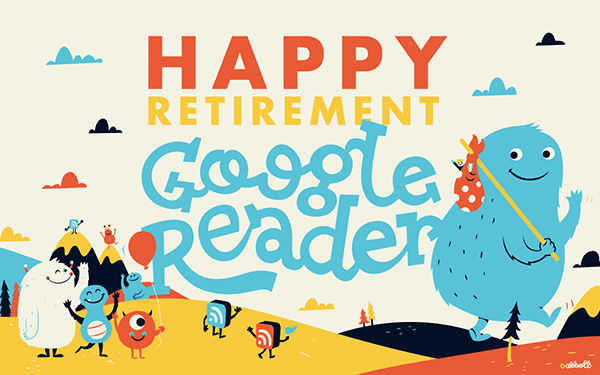 Its more that some alternatives don’t allow the same features that we had with google reader. Feedly allows folders, but doesn’t allow smart folders or search. Its just irritating, particularly if you sync rss feeds between groups of machines. Well, I was using The Old Reader — seems like too many people have discovered it — now it’s useless as I’m waiting too long for refreshes. Now back to Feedly (which I had already stopped using since it has lost my ‘place’ in my feeds several times). I’ve been impressed with Red Tree Reader. The desktop browser interface is fantastic, I’m not a huge fan of the next/previous article button on the mobile client. They’re handy, but they’re distracting. So torn.